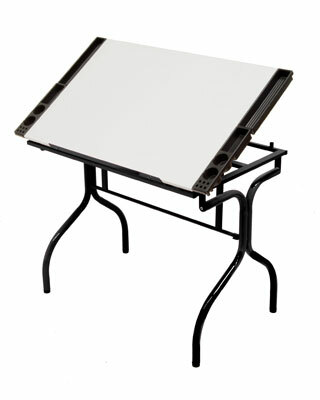 The Folding Craft Station suits a variety of artists' needs. Easy to manage, this table assembles without tools in five minutes or less and folds flat for easy storage. The tabletop angle adjusts from flat to 35 degrees. Its frame is built of heavy gauge steel for durability. Assembles in 5 Minutes or Less!